When it comes to an organization’s total budget, the largest piece of the pie goes to payroll. The second largest? IT. Because IT takes such a large share, it’s under constant scrutiny and continuously expected to find cost savings, improve efficiency and prove value. And in the recent economic downturn, it’s no surprise that IT organizations were under immense pressure to make deep cuts. But IT organizations were saddled with another obstacle during that time. Like every other business, software vendors were searching for ways to salvage profits or just keep the lights on. So they began conducting more software audits to enforce contracts and ensure organizations were in compliance. 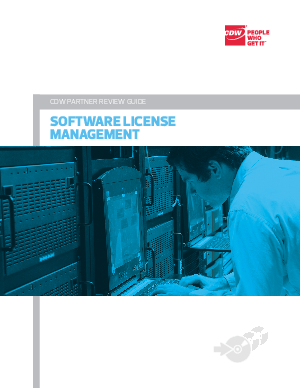 Despite the needs to cut costs and to stay within compliance, gaining visibility and control over software licensing is critical. Even the most diligent and honest organizations can struggle with license compliance issues. To learn more download this whitepaper. Compliments of CDW.